Honda has established itself as a manufacturer with a safe pair of hands; it scores highly on customer satisfaction surveys and refreshingly, steers clear of most marketing mumbo-jumbo in advertising and press launches. The Mk.2 Jazz is one of the least depreciating cars after three years and has (from what I’ve seen) many owners consisting of the blue-rinse brigade – not a bad thing when you already have a captive audience. So, an evolution with innovation is the concept for the third generation Jazz that was launched in European markets within a surprisingly humid Frankfurt. 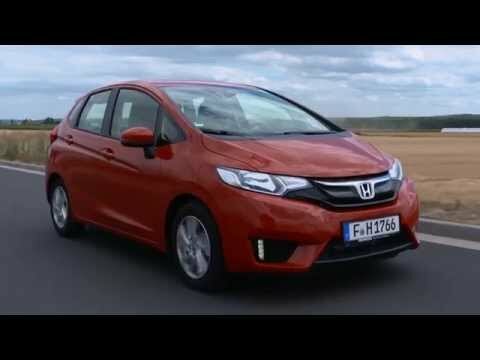 The Jazz is slightly longer than its predecessor, mostly due to a thicker front bumper therefore a lengthened wheelbase aids spaciousness which is the Jazz’s forte. Honda’s patented Magic Seats system lowers the floorpan by moving the fuel tank forward so you have more depth that, according to one PR executive swallows seven mountain bikes (with front wheels removed). So, it is cavernous with more knee-room than a S-class Mercedes and will load an eight-foot surf board – both proven. Launched with a 1.3 i-VTEC petrol engine that replaces previous 1.2 and 1.4 units with a choice of either six-speed manual or CVT transmission, the new unit has more power than those replaced, greater fuel-efficiency with lower emissions. 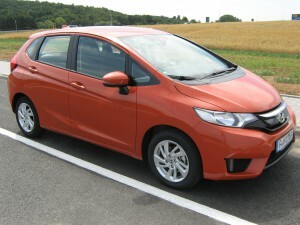 Design integrates with Honda’s new face and the Jazz has twin ribs along flanks to provide distinction and also rigidity. 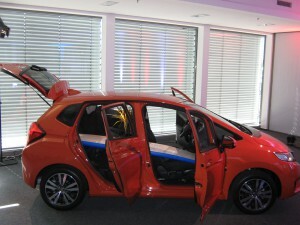 Hard plastics however, surround the door panels and dashboard with the seven-inch touchscreen angled towards the driver – cockpit style. The interior won’t win awards for creativity but remember this is a progression on the previous car so as not to frighten their target market, most of whom are predicted to trade-in the old Jazz for new. 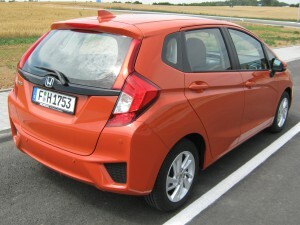 Moreover, you understand how conservative Honda have been when the Jazz accounts for 40% of overall sales. The manual version was enjoyed because it is revvy when worked through the gears as I found out on countryside inclines with steering that has more turn i.e more direct compared to that of old. The CVT by comparison is louder and overcompensates in revs to bridge the drop that is characteristic when changing gear in manual transmissions when power momentarily fades. At £1100 more than manual versions, it has better mpg figures at the expense of higher noise levels and longer acceleration times. The new engine also has more mid-range torque because of an expansion cycle longer than compression in the combustion process. Would I buy one? Starting at £13495 with a 90,000 mile warranty over three years and a five year service plan for £500, the numbers encourage and it should retain a healthy residual after three years. It is a sensible choice – very. « HR-V= Coupe + SUV + MPV ?